← FAQ: How is The One Repo different from SHARE? 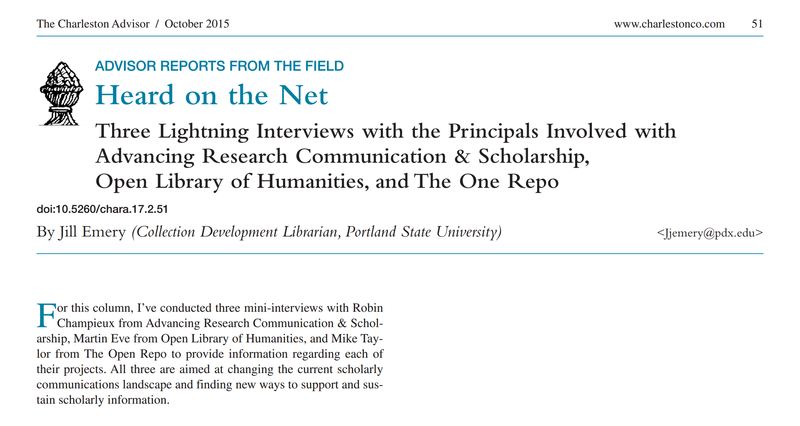 We’re pleased that the One Repo, alongside Advancing Research Communication & Scholarship and the Open Library of Humanities, is featured in this week’s Heard on the Net piece in the Charleston Advisor. This entry was posted in coverage. Bookmark the permalink.